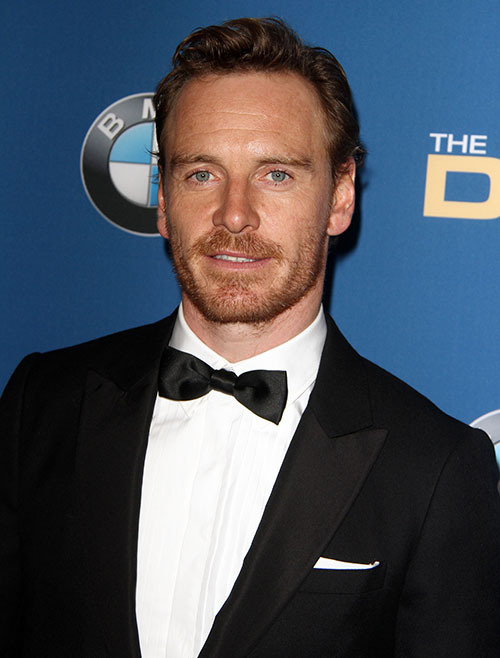 Michael Fassbender, Alicia Vikander Breakup On Horizon: Michael Longs To Reunite With Ex Zoe Kravitz? If the buzz is true and Michael Fassbender and girlfriend Alicia Vikander are really on the rocks, then those photos of Zoe Kravitz and her new boyfriend Karl Glusman all loved up at the Vanity Fair party are bound to make him feel worse about it. Michael Fassbender and Zoe Kravitz broke up years ago (after a hot and heavy on-again/off-again relationship), and it seems to have ended on great terms – better terms than Michael usually ends on with his ex-girlfriends. He’s since dated other people, and most recently, been in a long-term relationship with Alicia Vikander. He and Alicia have lasted the longest since he and Zoe (if you count the on-again and off-again part with Zoe), but there have been recent rumors heating up about how he and Alicia are done… which leads me to my next question: is there a chance of Michael Fassbender getting back together with Zoe Kravitz? For one, Michael and Zoe lasted a long time, and they clearly had no issue going back to each other in between relationships and flings. Obviously, that ended when Michael started getting into other long-term relationships, and he and Alicia Vikander have lasted a surprisingly long time. But with that being said, Michael’s track record with girlfriends isn’t great, and he hasn’t been seen with Alicia in a while – and she was conspicuously missing a date at the Oscars and the Vanity Fair after-party… the same after-party that Zoe and Karl made an appearance. Now, it’s doubtful that Zoe Kravitz would go out of her way to engineer something like this – she’s cooler than that, and also, seems like she’s genuinely over Michael Fassbender and really into Karl Glusman. But if Michael was single (still an if), then do you think he would be jealous seeing his ex-girlfriend so head over heels in love with another dude? If not jealous, then at least a pang? What do you guys think? Do Michael Fassbender and Zoe Kravitz have a future, or is this just grasping at straws? Let us know your thoughts in the comments below. Prince Harry Despises Twitter – Admits Social Media Ruins His Life, Invades His Royal Privacy! ‘Dexter’ With Michael C. Hall Allegedly Getting Reboot In 2017 – Show Will Rewind To Season 4 And Correct Flaws?